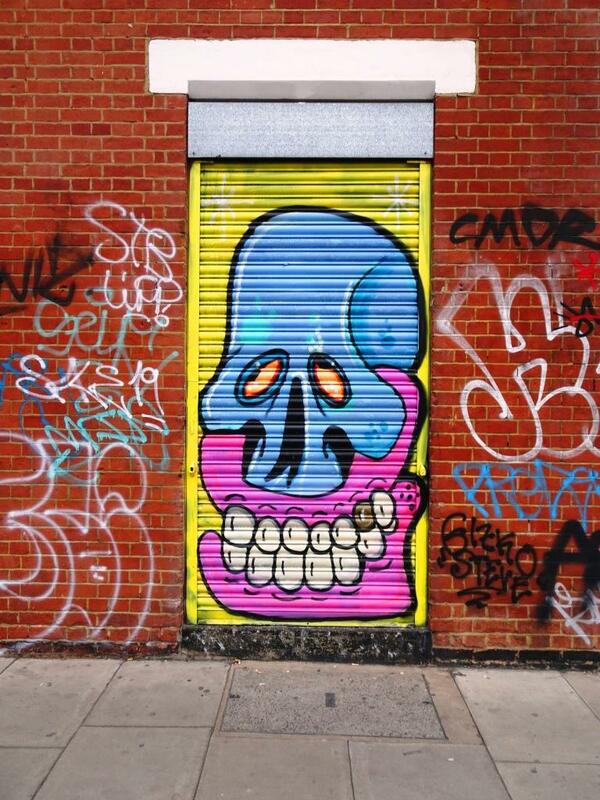 I think that this piece by AKA Jimmy C is another one that falls into the category of ‘recently done, just in time for my visit to Shoreditch’. It is a touching painting of a man carrying a child with fatherly affection and care. As with all AKA Jimmy C pieces it is painted using tiny spots of paint to make up the whole – pointillism graffiti. I had walked past this charming piece and it was only when I turned back, checking for traffic, that I saw it. It goes to show that in this game you really do need to keep your wits about you. This is a sensational piece and simply adds to the enormous spectrum of street art. It’s been there a long time I got it on 19th November 2015 and yes, I walked straight past it the first time too!